This dining table expands from a three-person to a six-person table. 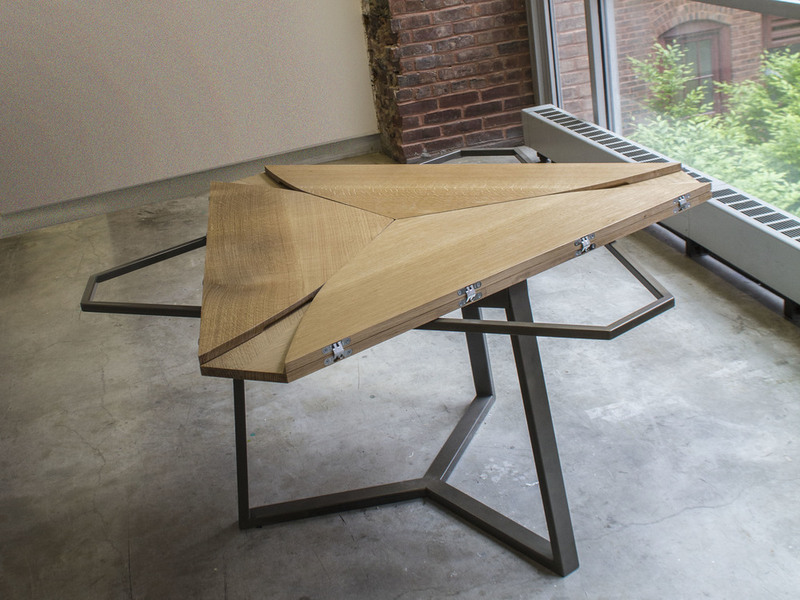 The table top rotates on a central axis to expose its three metal supports. The leaves open out and rest on these supports, and the tabletop locks into place.